Confused.com is a huge name in the insurance world but definitely not the stuffy number crunching kind. So when they approached the MABINOGI PRODUCTION TEAM to come up with ideas for their Bald Tyres Awareness campaign we decided to think just a wee bit out of the box. After-all with a spokesperson like the legendary funnyman James Corden, we knew our promo had to hit the public with equal measures of comedy and drama. 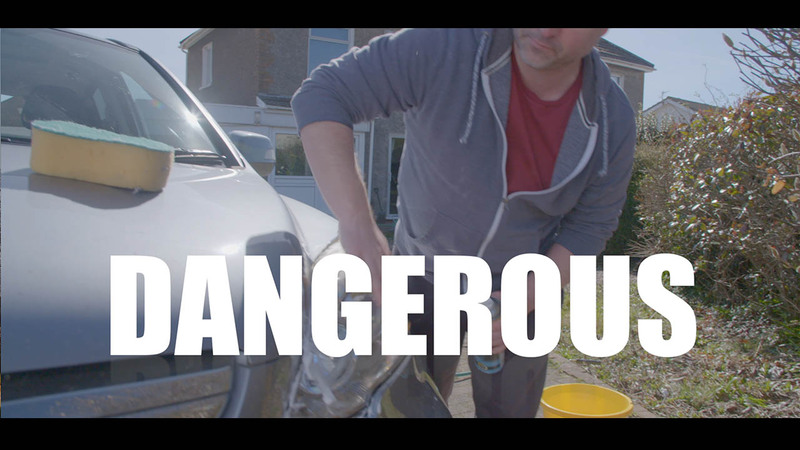 Our video was the cornerstone in a month long campaign to inform motorists about the dangers and consequences of driving on bald tyres. But since nobody likes a boring old voice over lecturing us about something that we know we should do… MABINOGI made this instead. Enjoy! What were the key elements to this video marketing campaign? Most media viewers have the sound OFF by default. Thus the first 3 secs it is crucial to use TEXT for any important information. This should capture attention and arouse curiosity enough to hit the volume. Once they do, they are ours. Text was also used to reinforce the punishments of fines and points. Even with the volume off – you know the consequences. A Twist in expectations / tone. Bald Heads? Nope… Bald Tyres. Comedy is one of the best ways to get your message across. If you are chasing that holy grail of a viral video you can up your odds by taking a crack at humour. Providing free (AND FUNNY!) content to the established press (print, online and network) as well as social media influencers (instagram, twitter) is a great way to stretch your marketing budget. No need to pay for ads! Let social media and established websites do it for you.